We have something special for you here and hope you will like it. This homemade mint chocolate cannabis ice cream is a new unique way to take your cannabis. After all, who doesn’t like taking sweet stuffs? This article contains a brief overview of the cream and discusses various issues relating to it, including how to prepare, and the pros and cons of taking. This might sound crazy but come on, don’t say you hatetrying out new ideas? Better still it’s loaded with the ever precious weed. A healthy mint flavored chocolate that gets you stoned, what other brand of ice cream can beat this one? This is one of the best ways to take weed. No matter your experience with weed, you are absolutely going to like it. Good news is mint chocolate cannabis ice cream is always good, even when it’s bad. There are so many advantages of preparing it at home that you should not give the idea a second thought. There are high chances that a mint chocolate bought at a boardwalk will end stuffing your body with too much sugar since only a small percentage of their products have a truly refreshing quality. The secret for a perfect chocolate lies in properly combing rich, chocolaty crunch, and fresh cooling herb and mint. To improve taste, you need to add the bittersweet cocoa to mint’s light airy flavor. To get the desired taste, you must achieve an intricate balance between the weed, mint and ice cream. Also, it’s equally important that you use the right kind of chocolate that dissolves smoothly in the mouth. You must carefully select your chocolate and some types will become waxy when frozen. We suggest that you use raw cacao nibs, but if you cannot afford, we advise you use unsweetened dark chocolate. If you like, you can add butter or coconut oil for the best texture and a clean texture. The kind of chocolate you choose will play a big role in determining the quality and taste of your final product. If you prefer any other type to the ones have included in the recipe, you can replace, no big worries. Can eating an ice cream make one feel lighter? Provided it is a fine mint chocolate weed ice cream, it can. Prepare for an extraordinary experience when you consume this edible, I am sure will crave for more. I hope you didn’t find the preparation process cumbersome and boring. 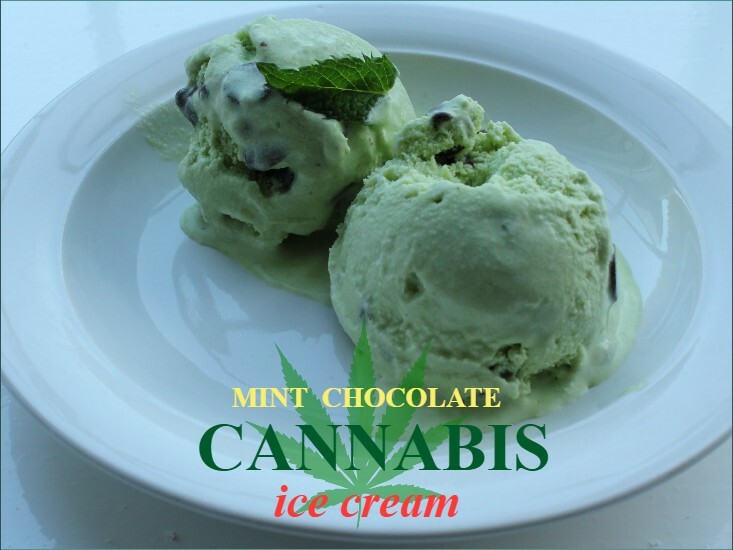 This is one of the best recipes for preparing mint chocolate cannabis ice cream. Its strength depends on how potent your cannabis-infused coconut milk is, but if you are an experienced stoner you won’t experience any problems with this. We caution that you always be patient because such a meal is irresistible. Remember, the effects of the cannabis in your meal will take a while to show up. Weed can be consumed in various forms, and people are coming up with more creative ways to take the substance. In this article, we have discussed how weed can be fused with chocolate and ice cream so it can be taken in a more comfortable manner, compared to consuming in it its pure state. Preparing the recipe above does not require pro cooking skills. With this recipe, we have taken taking to a complete new higher level. Hope you will enjoy the meal.